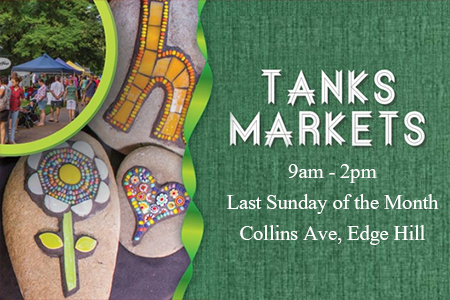 Tanks Arts Centre presents Sunday Markets, held on the last Sunday of every month from April to November. Tanks Monthly Markets are a unique slice of cultural life in the tropics and a must-do event on the Cairns calendar. Everyone is invited to wander our leafy promenade, explore the site and take in the full complement of stallholders offering a blend of quality local art, craft, produce, vintage clothing, collectables and local natural health products. Plus, enjoy local musicians, food and refreshments on this free, family fun day. Please note: This event is always popular. If you can’t find a park, try Greenslopes Street and enjoy a stress-free walk through Centenary Lakes. From the first Market Day back in 2006, Body, Mind & Soul (BMS) has grown to become a must for those interested in local, natural health practitioners, new age suppliers, therapists, spiritual and energy healers to come together, for a day of inspiration, demonstration and information. Carnival on Collins is a Father's Day tradition in Cairns and the finalé of the annual Cairns Festival. Since its inception in 1989, Carnival has become a must-attend event for locals and tourists alike to indulge in the best of our tropical lifestyle, with a range of free activities and entertainment. The next Carnival on Collins will be held on Sunday 1 September 2019. Tanks Markets showcase a blend of local art, craft, produce, vintage clothing, collectibles and local, natural-health products and treatments, as well as food and drink stalls.